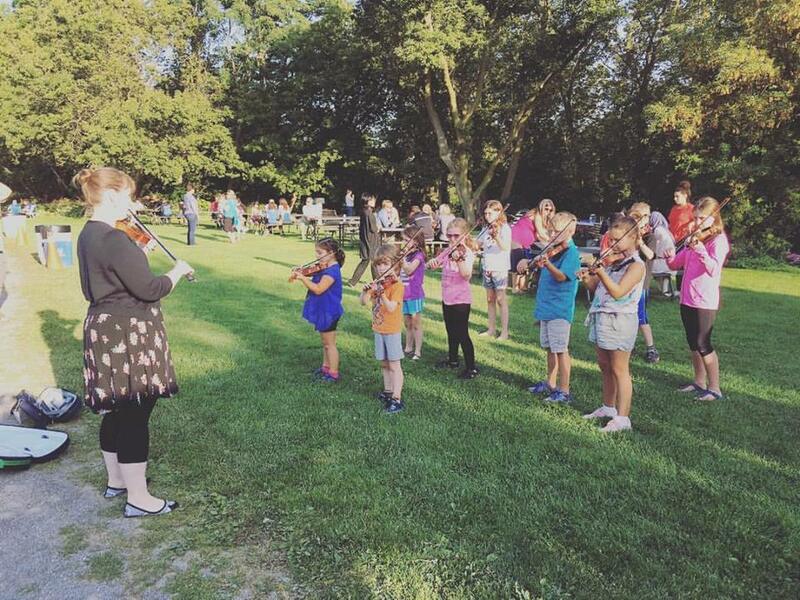 With the beautiful weather that we’ve been experiencing this September, the Twinkle Strings Suzuki School Ancaster groups headed outside for an impromptu concert at Holy Food Trucks. 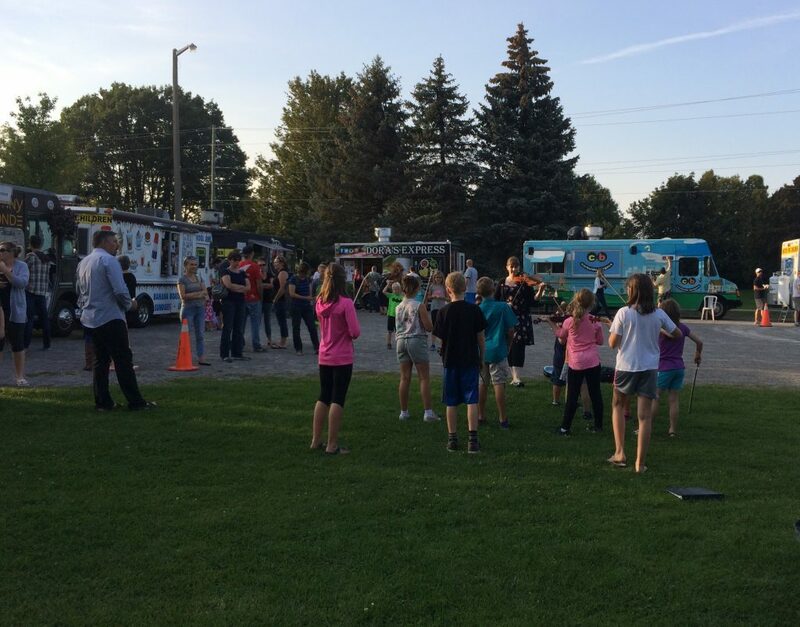 The popular community event features a gathering of local Hamilton food trucks every Tuesday night throughout the summer at Bethesda United Church in Ancaster. Violinists ranging in age from 4-11 performed a selection of Suzuki repertoire which concluded with a “Twinkle” march around the grounds. The children were thrilled with their modest busking proceeds, which they donated back to Bethesda United Church.